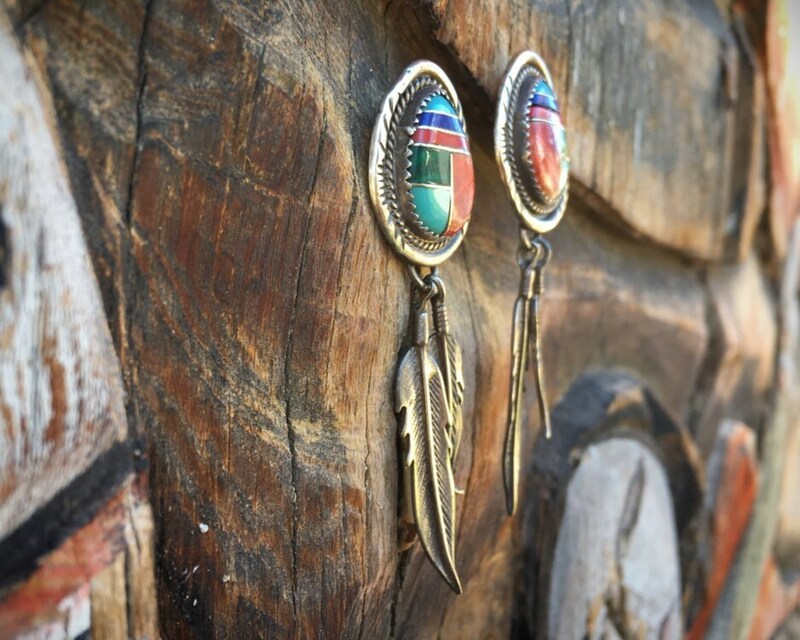 These vintage post earrings feature a mosaic inlay design made with turquoise, spiny oyster, sugilite, coral, and malachite--all laid within thin sterling silver borders or channels. Channel inlay is a complex process by which the artist must cut each gemstone to fit the shape. 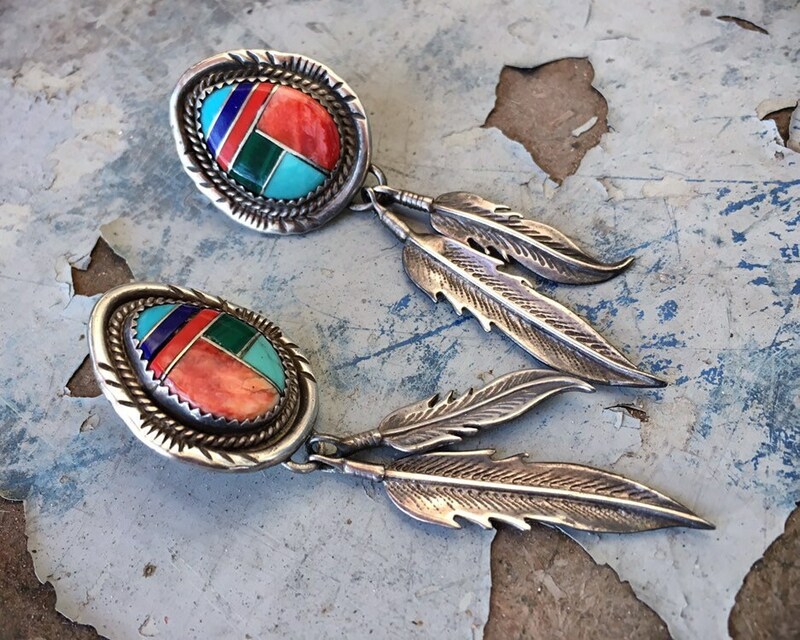 The inlay section sits in a sawtooth bezel with a twist wire border and all set on a foundation that has a hand shaped and stamped silver border. 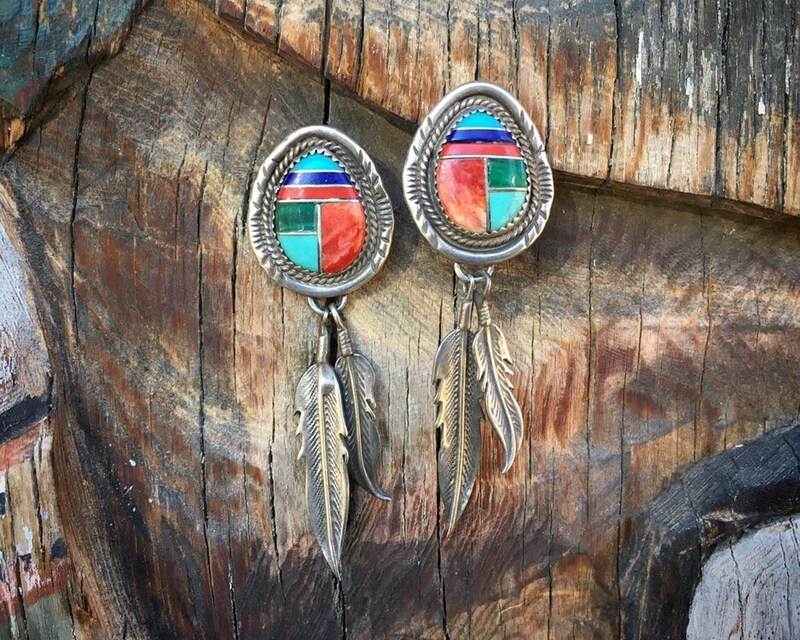 Dangling off that silver foundation are two sterling silver feathers, each hand made. They move when you move. 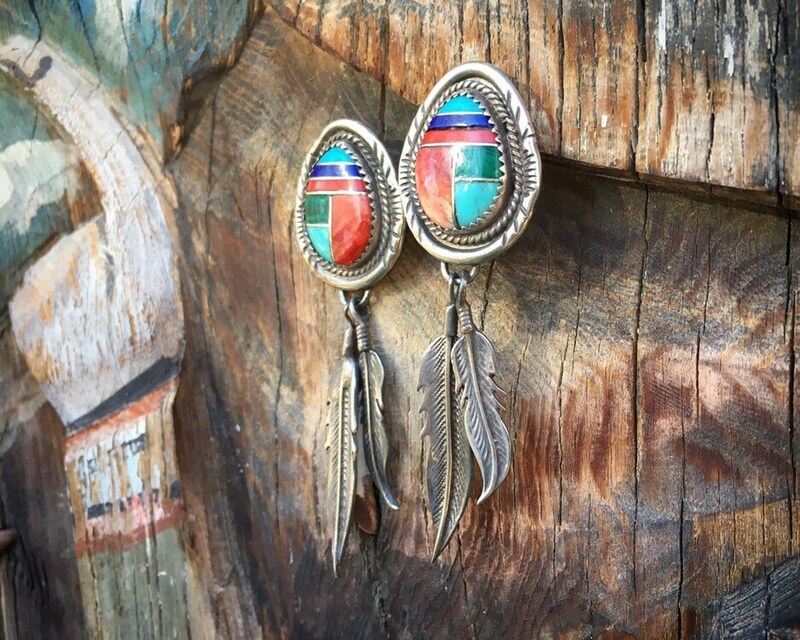 The back has a STERLING stamp yet no artist hallmark, so we can't say with certainty that they're Native American. We believe they are Navajo. 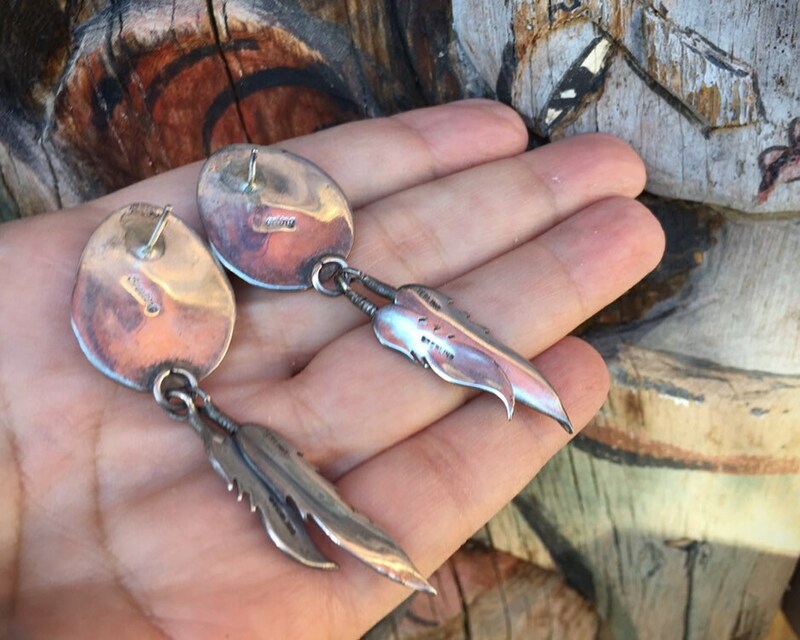 The earrings measure 2-5/8" long by 7/8" wide. In good vintage condition. 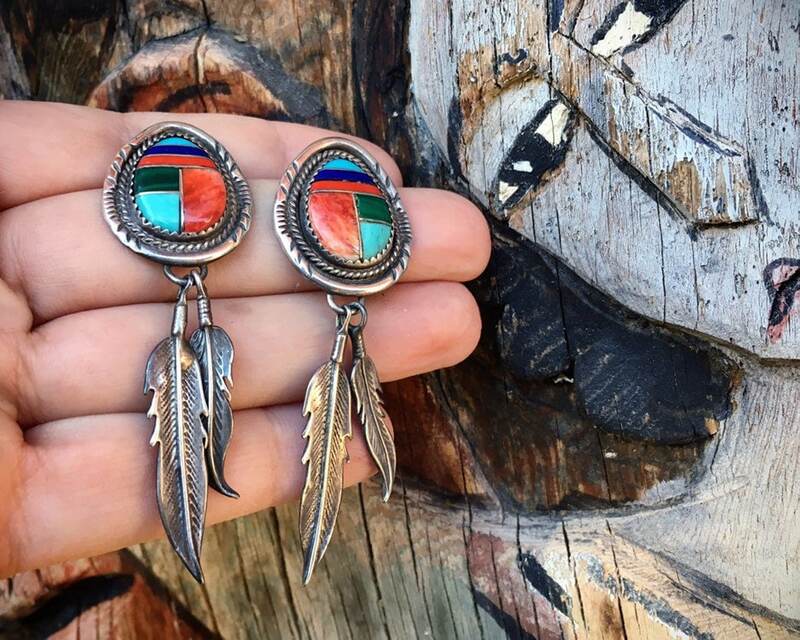 Vintage earrings that feature beautiful artistry.